​​Does Tea Tree Oil Kill Fleas? Home remedies to treat flea infestations have grown increasingly popular in recent years. You may have heard or read that using tea tree oil can get rid of fleas. In this article, I will investigate if using tea tree oil to kill fleas is effective or not. You will become familiar with the abilities and properties of this plant-based oil. I will tell you how tea tree oil works against fleas, as well as some crucial advisories. Most importantly, you will learn if tea tree oil is safe to use on your pets. How Does Tea Tree Oil Work Against Fleas? 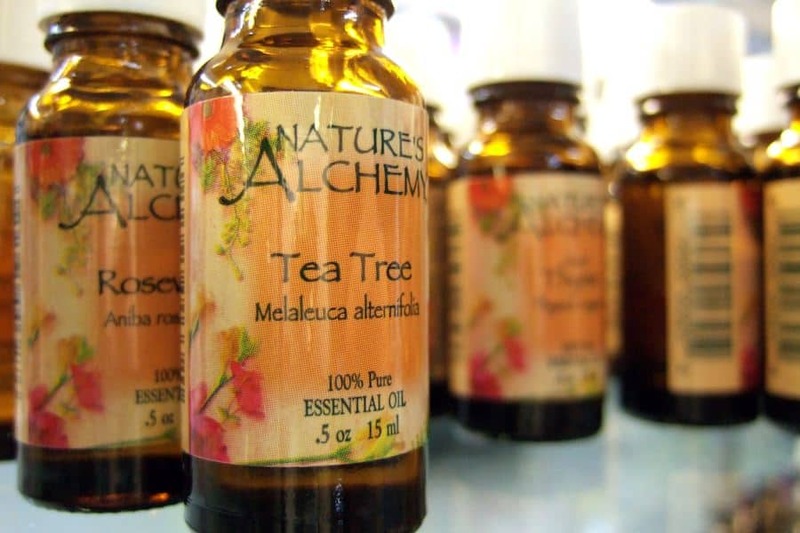 Tea tree oil is derived from melaleuca alternifolia, or the tea tree. This small plant is native to Australia. The leaves and branches of the tree are steamed until oil is produced, ranging from clear to pale yellow in color. This oil has a rich history in Australian traditional medicine, typically used to dress wounds to prevent infection. Research has established that tea tree oil does have useful medicinal properties. It possesses antimicrobial abilities, meaning it can fight a range of viruses, fungi, and bacteria. One study showed that tea tree oil showed potential as an antibacterial agent against methicillin-resistant staphylococcus aureus, an antibiotic-resistant bacterium. There are hundreds of species of melaleuca, all of which can be used to make oil. International standards for tea tree oil do not require that a specific species of tree be used. It is only necessary that the oil has a certain chemical composition. To qualify, at least 30 percent of any tea tree oil volume must be terpinen-4-ol. Terpinen-4-ol is a compound that is responsible for most of the beneficial capabilities associated with tea tree oil. Keep in mind that different brands of tea tree oil can vary significantly. Some oils contain added ingredients. Others are artificial, meaning they are manufactured rather than organic. As with most essential oils, tea tree oil is vulnerable to the elements. Excessive exposure to high temperatures, light, and humidity can have negative effects on the stability of the oil. This can lead to terpinen levels declining over time. Take care to seal the tea tree oil container tightly after use. Store it in a dark, dry and cool area. Pests, like fleas, have existed in some form or another for centuries. A fossilized flea discovered in Australia was estimated to be roughly 200 million years old. The many pesticides and repellents we have on the market are relatively recent inventions, historically speaking. Plants were and still are used as traditional, natural insecticides and repellents. In recent years, there has been an increase in insecticide resistance in flea populations. The species of Ctenocephalides felis (the common cat flea) can be particularly resistant to supposedly lethal insecticides. In some cases, the so-called resistance is due to pet owners not following treatments guidelines correctly. However, in other cases, certain flea populations have mutated to withstand commonly used insecticides. Continuously attacking a pest population with synthetic insecticides can increase the risk of resistance developing. There have also been concerns over the impact chemically manufactured insecticides have on the environment. Plant extracts like tea tree oil are claimed as being biodegradable and less toxic. Tea tree oil has been shown to have useful properties against pesky insects. One study showed that it successfully repelled and killed flies on cows. Another trial revealed the oil had potent effects on head lice, blood-sucking pests which can be notoriously hard to kill on humans. One percent concentration of tea tree oil killed off 100 percent of adult head lice within 30 minutes. The insecticidal properties of tea tree oil can differ depending on the target insect. With head lice, the oil passes through the outer cuticle of the louse and into the trachea. When the oil is blocking the trachea, the louse cannot breathe and will eventually die. A study investigating the effects of tea tree oil on weevils demonstrated that it attacked the weevils’ nervous systems. In bollworm larvae, tea tree oil was shown to reduce the larvae appetite. Bollworms are a type of moth—their larvae (caterpillars) are extremely destructive to cultivated plants. The longer the bollworm caterpillars were exposed to tea tree oil, the less they ate until they stopped eating entirely. Unfortunately, there are few legitimate scientific studies available on the effects of tea tree oil on fleas. However, research has proven that the oil does indeed have insecticidal and repellent abilities on several species of insects. It is clear that more investigation is required into the potential uses of this oil against fleas and other insects. Most home remedies recommending tea tree oil to get rid of fleas involve applying the oil in some form to your pet’s skin. Some may recommend that you dilute the oil first before application. However, you should remember that no tea tree oil is exactly alike. These essential oils come in different strengths and with varying added ingredients. Tea tree oil may be a natural substance, but this does not mean that it is harmless. Allergic reactions in humans have been reported when applying tea tree oil directly on the skin. Incorrect storage of tea tree oil can change its chemical composition. Tea tree oils are typically sold without labels detailing how to use them, heightening the risk of misuse. Veterinary-prescribed flea treatments come with explicit guidelines and warning labels for a reason. Using an insecticide incorrectly can result in your pet getting poisoned, perhaps fatally. Doses and concentrations of flea repellents and pesticides are almost always species, size, and age-specific. This is for a good reason: each animal is uniquely vulnerable to insecticides. For example, using a flea treatment intended for an adult cat on a kitten can poison the kitten. When applying insecticides of any sort to your pet, consulting your vet is essential. Your furry companion may have a health condition that is incompatible with certain compounds. Your vet can also recommend the appropriate treatment duration and other precautions to take when treating your pet for fleas. With a product like tea tree oil, there are no instructions for dosing or cautionary directions. More than 300 dogs and cats in the United States and Canada have been poisoned due to deliberate exposure to tea tree oil. The essential oil was either applied directly to the animal’s skin or ingested, either deliberately or through mutual grooming of another pet. Three flea-infested cats were poisoned after their owner applied tea tree oil to their flesh. The tea tree oil was intended to be used on irritated skin. However, the owner had read in a catalog that the oil was effective against fleas on pets as long as it was diluted first. The owner shaved the cats and applied the oil liberally to their skin. Terpenes in tea tree oil are rapidly and easily absorbed through the skin. Later in the day, all three cats were admitted into veterinary care with symptoms of poisoning. Despite aggressive treatment, one cat died the same evening. Dogs are also susceptible to tea tree oil poisoning, although cats are at greater risk of ingesting applied oil because of their grooming behavior. Take note that there is no antidote for animal poisoning from tea tree oil. If any tea tree oil gets on your pet, wash it off immediately with soap and warm water. Signs of tea tree oil toxicity include shaking muscles, drooling and general weakness. There are much safer home remedies for fleas on cats should you wish to treat them as naturally as possible. Tea tree oil is toxic to pets if ingested or applied on their skin. It is not an appropriate repellent or treatment for a flea infestation on your animal, or as a flea repellent for humans for that matter. Similarly, you should avoid leaving tea tree oil out as an insecticide in your home. Your companion animals may accidentally ingest the oil or contaminate themselves. This oil is also toxic to children if ingested. You must not leave the oil out as an insect repellent if you have young children in the house. In my opinion, using tea tree oil against fleas should be avoided, especially if the directions come from a non-scientific source. There are a range of tried-and-tested insecticides on the market to protect your home and your pet against fleas. If you find a commercially available insecticide that contains tea tree oil, read the reviews carefully. When purchasing any pesticide, always keep in mind the members of your household. Some chemicals and compounds are dangerous to pets and children. If the product in question is intended for use on pets, consult your veterinarian first. Scientific trials have demonstrated that tea tree oil has great potential as a natural insecticide and repellent for certain pests. However, although tea tree oil undoubtedly has medicinal benefits, using tea tree oil to kill fleas is not advisable – especially on your pet. Other essential oils may be more effective against fleas. Until more research is done on how this oil impacts fleas specifically, you might want to rely on other options to keep your pet and home flea-free. There are plenty of other natural flea treatments should you wish to go down this route.